Want to triple the life of your razor blade? Our amazing Razor Saver Oil can do just that. 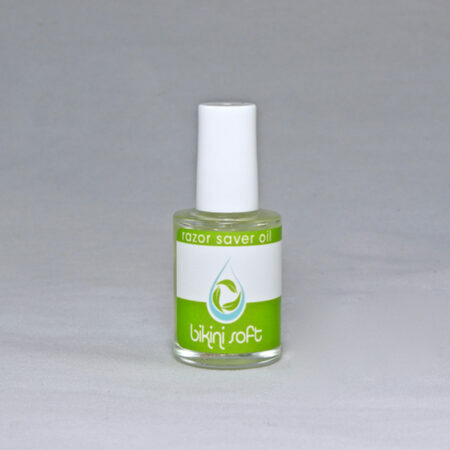 After you shave, treat your razor with Bikini Soft Razor Saver Oil. You’ll be amazed at how long your blades last—we promise. 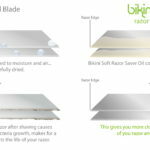 Want to triple the life of your razor blade? Our amazing Razor Saver Oil can do just that. Here’s the science behind the secret — it’s not shaving that dulls your razor, it’s oxidation. The combination of water and air on steel causes oxidation (or rust). In fact, the period between shaves does more damage to your razor than the shave itself. Exposure to moist air corrodes blades quickly, leading to jagged edges, nicks and cuts — yikes! No thank you. 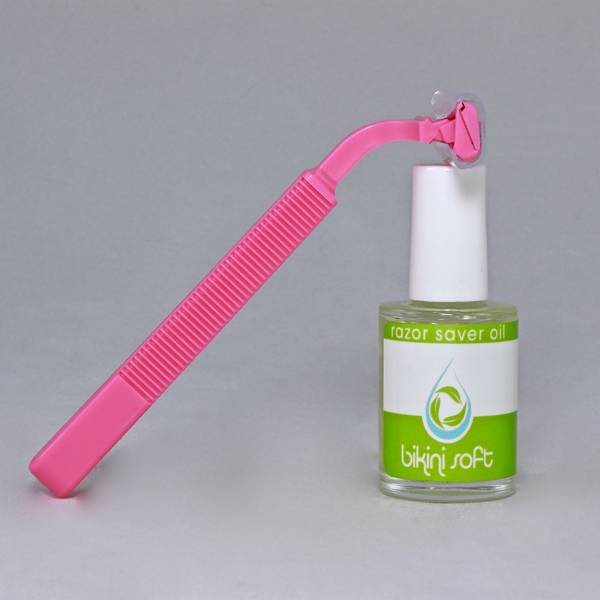 Bikini Soft Razor Saver Oil has been shown to slow the effects of oxidation and extend blade life by up to 300%. It’s simple to use, and you’ll be amazed at the difference — we promise. 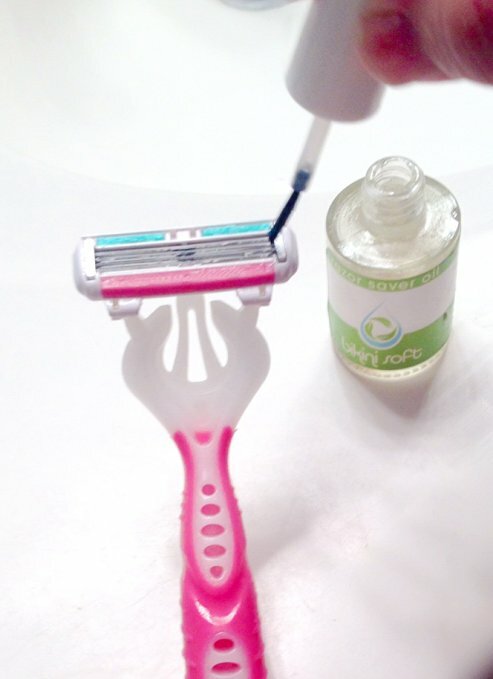 Just use the brush applicator to apply Razor Saver Oil after shaving and rinsing your razor as usual. 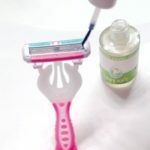 Just use the convenient brush applicator to coat your razor blade after each use. Rinse your razor blade and then apply Bikini Soft Razor Saver Oil to protect it from corrosion, helping it last up to three times as long. Wow! This little bottle really works well. My razor lasts 2 – 3 times longer and I’m definitely saving $$$. Like It! This is a convenient little gem that can save you money! I just brush it on my razor (after shaving and a good cleaning of my razor). I told my hubby about it and he’s now using it as it’s making his razor last longer too. Simple, but very effective.